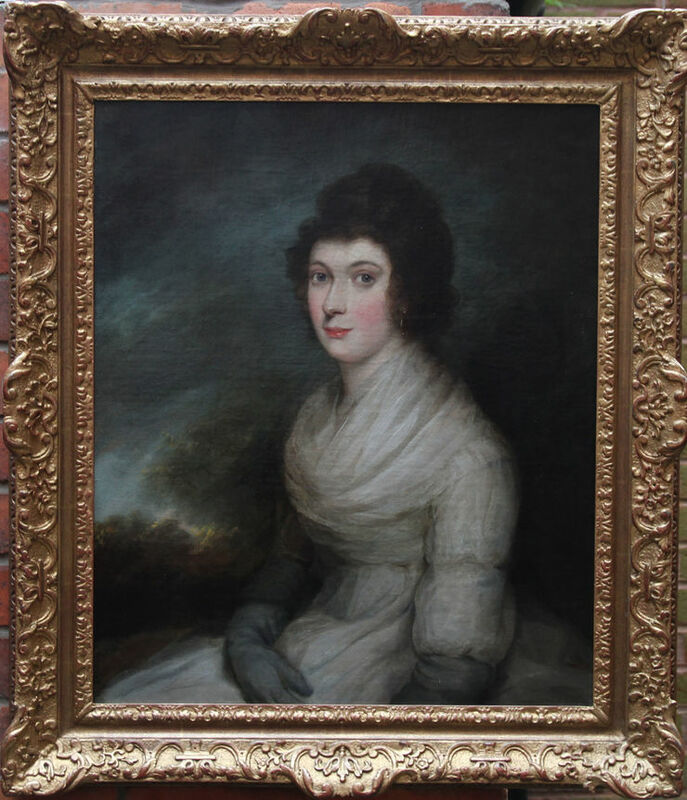 An original oil on canvas portrait of a lady which dates to the late 18th century. In excellent condition in a period carved frame. It is attributed to Henri Pierre Danloux 1753-1809. He painted in Scotland during his career and the sitter is believed to have been painted during that period. 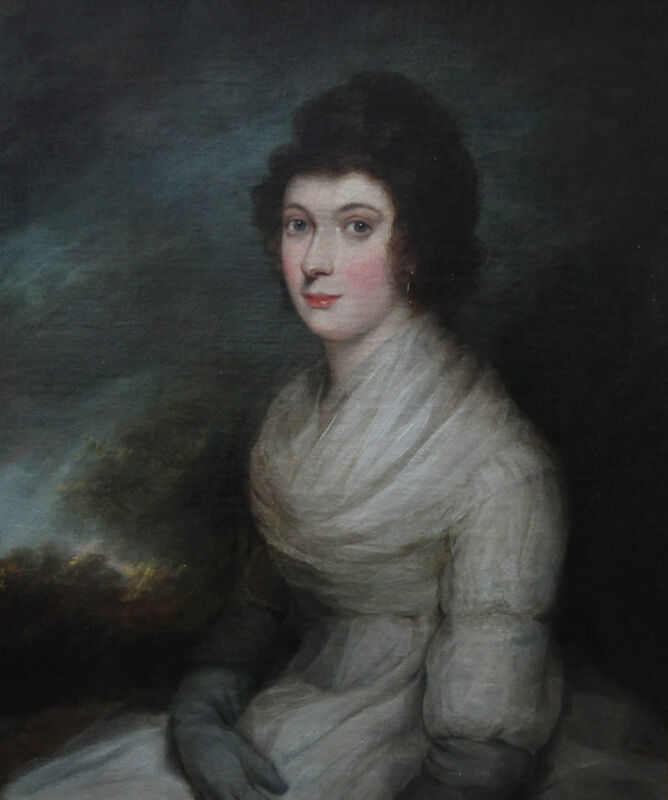 It is a stunning painting of a society lady with a landscape in the background and is a quality painting with gallery provenance. A very interesting painting. This is a genuine top quality Old Master oil portrait painting. Fine period gallery frame 40 inches by 35 inches.